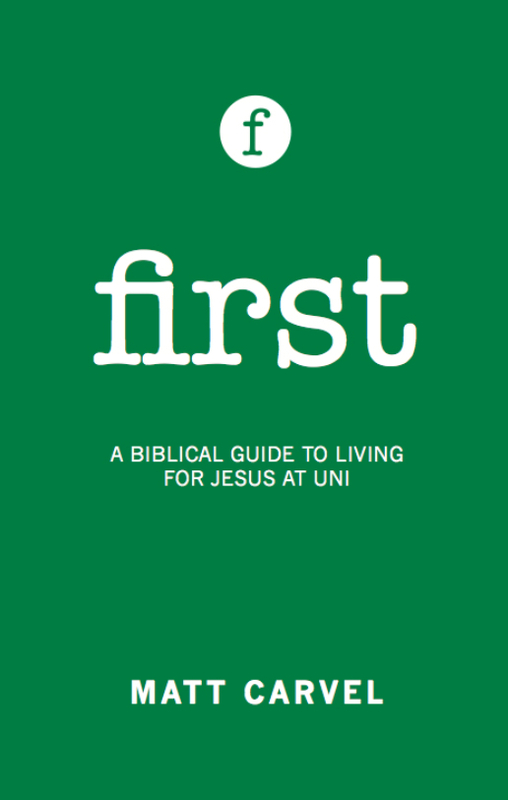 Most students have lots of books to plough through, and most Christian students aren’t exactly sure how to follow Jesus whilst at university, so I’m grateful for Matt Carvel writing First: A Biblical Guide to Living for Jesus at Uni. It’s very short and easy to read but covers lots of key issues (see below) with Bible-based theory and practical advice. The length is important not only for encouraging students who consider themselves time-harried to read it, but because it opens up opportunities for discussion rather than assuming to present an exhaustive final word on each topic. That’s how I intend to use it with the students I work with (that brevity might sometimes frustrate someone reading this by themselves), and I'm hopeful that they'll then want to go through it with others. At £3.99 a copy, max (the price goes down the more you buy at 10ofthose.com) even the price can’t put you off. If you’re a Christian student going to university next month and you want to thrive and honour God through your university years, I’d strongly recommend you get this and find someone to read it with.